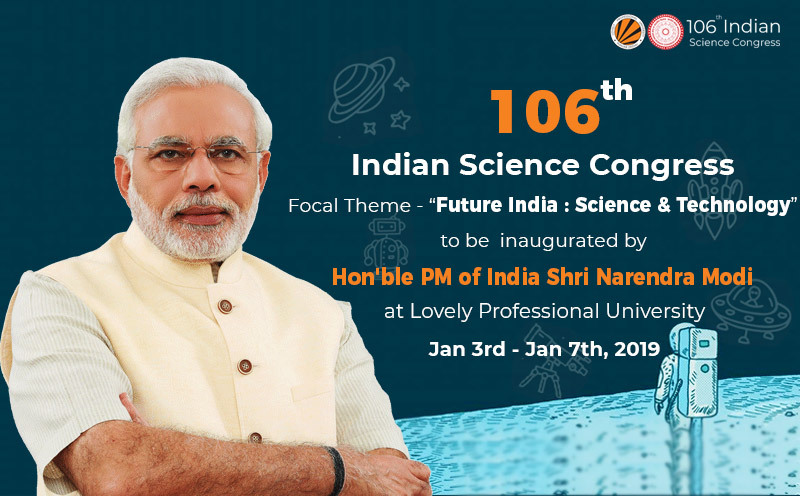 106th Indian Science Congress (ISC-2019) will be held at Lovely Professional University (LPU) in Jalandhar, Punjab from 3rd to 7th January 2019. 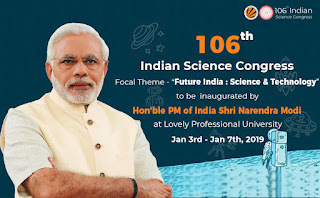 The theme of the 5-day science congress is ‘Future India: Science & Technology’. Approx 15,000 delegates, including 300 top scientists and Nobel Laureates from across world are expected to attend the congress. The science congress will have 18 plenary sessions, including those of medical, chemical, environmental and other science domains. There will also be four parallel mega events, including the children’s science conference; women’s science conference; science communicators’ meet; and, science exhibition. The exhibition will see participation from the national and international science companies, especially from the US, Australia, Germany and Switzerland.